Union Government has approved “Registration of Marriage of Non-Resident Indian (NRI) Bill, 2019” in parliament. 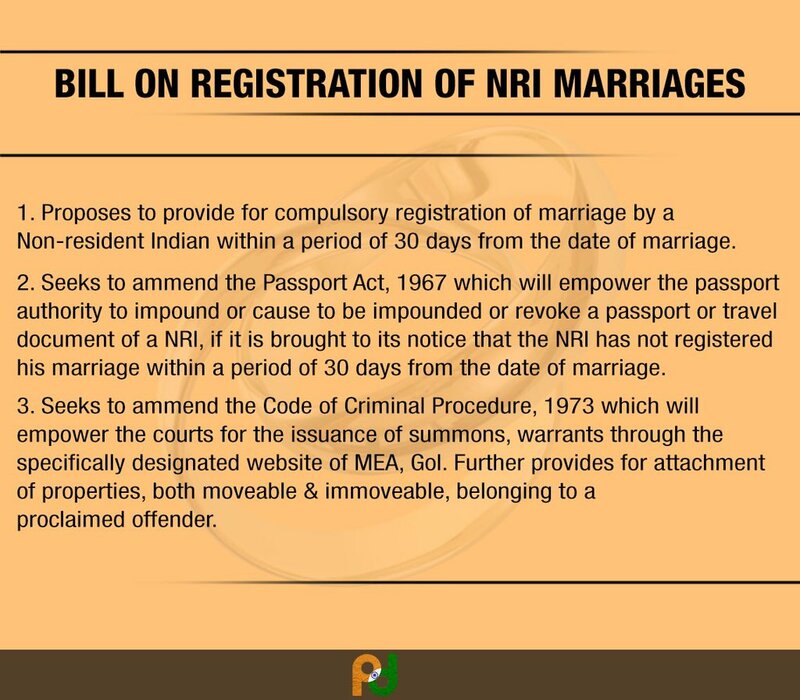 The Bill provides for amendment of the legal framework to act as a deterrent to the erring NRI spouses and creating more accountability and offer protection against exploitation of Indian Citizens married to NRIs. The Bill was introduced by External Affairs Minister Sushma Swaraj in the upper house. As per the Bill Non-Resident Indians who marry an Indian citizen or a fellow NRI abroad have to compulsorily register their marriages within 30 days or face the prospects of their passports being impounded or even revoked. Once the Bill is passed, marriages performed by NRIs would be registered in India or Indian Missions & Posts abroad. The Registration of Marriage of Non-Resident Indian Bill, 2019 also allows courts to attach movable and immovable properties of NRIs who are declared “proclaimed offenders” for failing to appear before law. 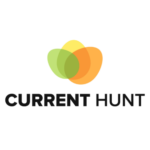 It allows the courts to send summonses and warrants to the accused through a specially designated website to be hosted by the Ministry of External Affairs. The personal liberty and life are under threat when the Indian origin women are struck with an exploitative husband both in inland and in foreign lands. It is the duty of Indian Government to curb such exploitation violence against women of Bharat. Life‟ in Article 21 of the Constitution is not merely the physical act of breathing. It does not connote mere animal existence or continued drudgery through life. It has a much wider meaning which includes right to live with human dignity, right to livelihood, right to health, right to pollution free air, etc. Under the canopy of Article 21 so many rights have found shelter, growth and nourishment. Thus, the bare necessities, minimum and basic requirements that is essential and unavoidable for a person is the core concept of right to life. Since the introduction of the Bill was necessitated due to numerous complaints received from Indian nationals mostly women deserted or harassed by their NRI spouses. The Bill proposes to offer greater protection to Indian women married to NRIs and serve as a deterrent to NRIs against harassment of their spouses. The bill with reference to the Article – 21 ensures the personal liberty and protection against sexual harassments by the social environment even it is own spouse. It can be greatly referred to the Supreme Court interpretations, Right to life is fundamental to our very existence without which we cannot live as human being and includes all those aspects of life, which go to make a man‟s life meaningful, complete, and worth living. It is the only article in the Constitution that has received the widest possible interpretation.